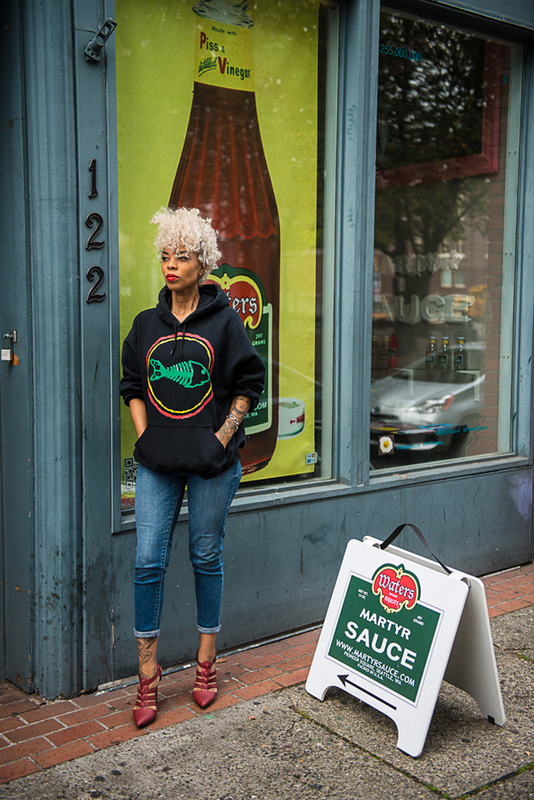 The Pioneer Square gallery Martyr Sauce presents 100%KANEKALON by gallery owner and artist Tariqa Waters. Water’s new work focuses on the untold stories of the marginalized matriarch. Image by Miguel Edwards via City Arts.